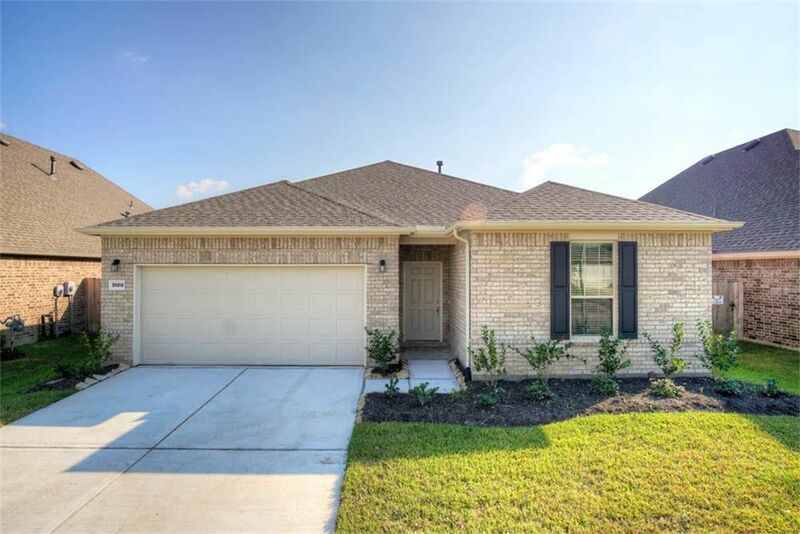 This beautiful 3 bedroom 2 bath home is a fantastic find! Host friends and family in the large family room that features a tray ceiling, hardwood laminate flooring and a wall of windows that shower the space in natural sunlight! Creating your favorite recipes is a real treat in the gorgeous island kitchen equipped with granite countertops, tile backsplash, recessed lighting and cabinets that provide lots of storage space! In the evenings, withdraw to the spacious master suite complete with a walk-in closet and a luxurious bathroom showcasing hardwood laminate flooring, a garden soaking tub and a tiled walk-in shower! The large backyard has plenty of green space for all your favorite outdoor activities and a covered patio that is perfect for firing up the grill or just kicking back to relax while enjoying some fresh air! Don't miss out on this one, it won't last long!